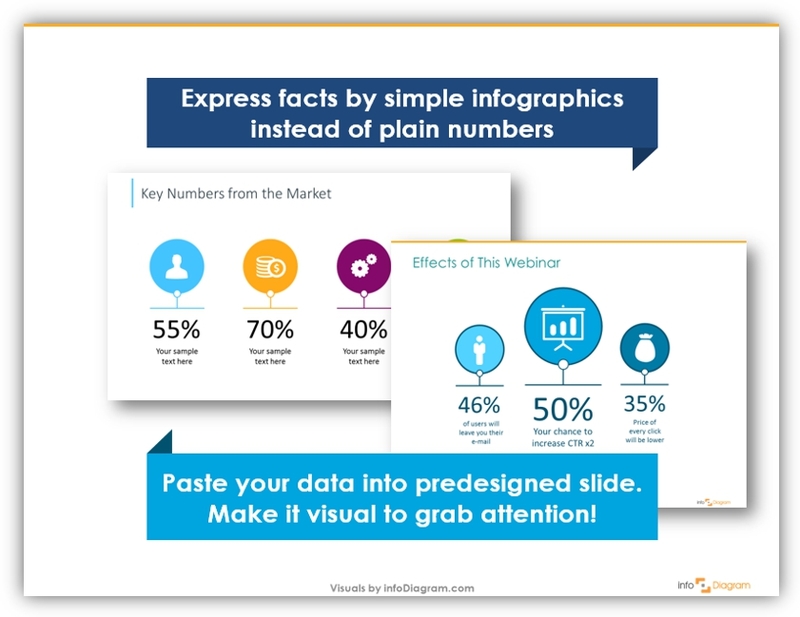 Are you preparing slides for an upcoming webinar? After preparing content and script, it’s time to work with PowerPoint. 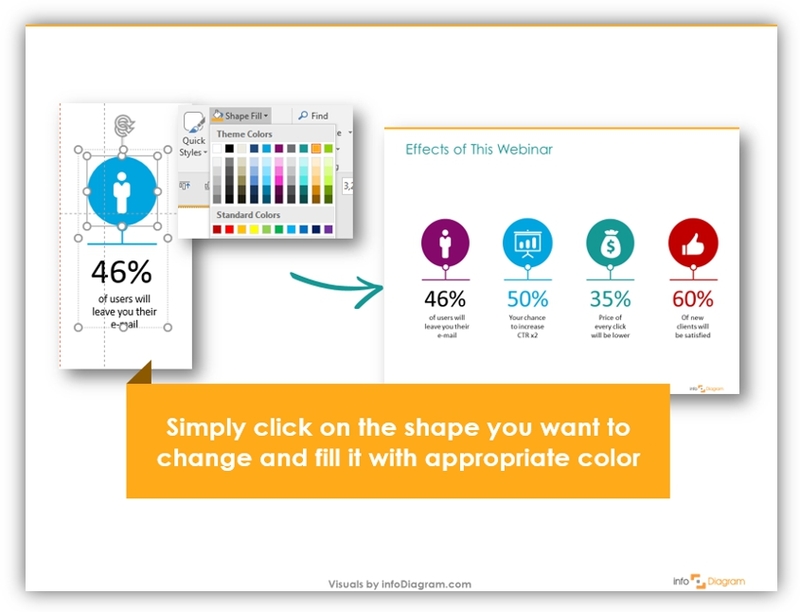 See how you can create the killer webinar presentation to engage your audience. 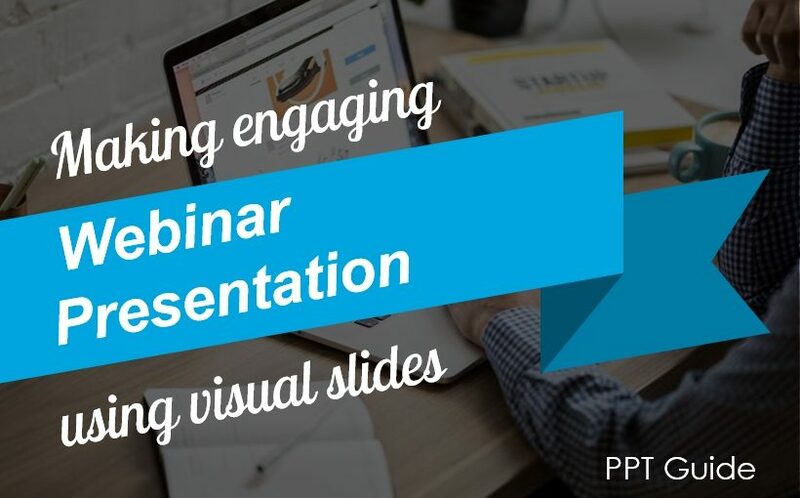 In this post, I’ll guide you through 4 steps towards engaging webinar presentations. Note: all presented slides can be found in Webinar Presentation of Problem-Solution template. Start with getting attention: present the question you’re going to discuss today to set the mood and check if everyone’s on the same page. 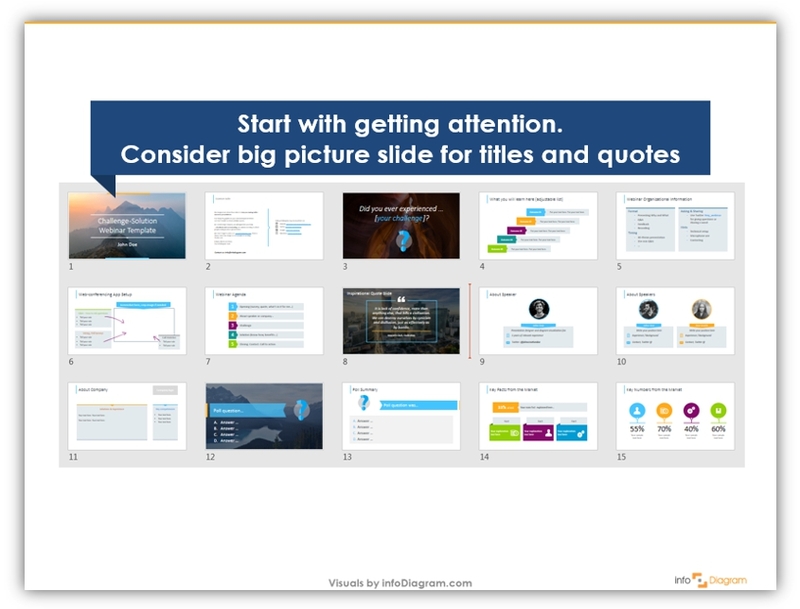 Consider big picture slides for titles and quotes. Represent topics you talk about with pictures and symbols. Express status and categories by visual symbols for better understanding. 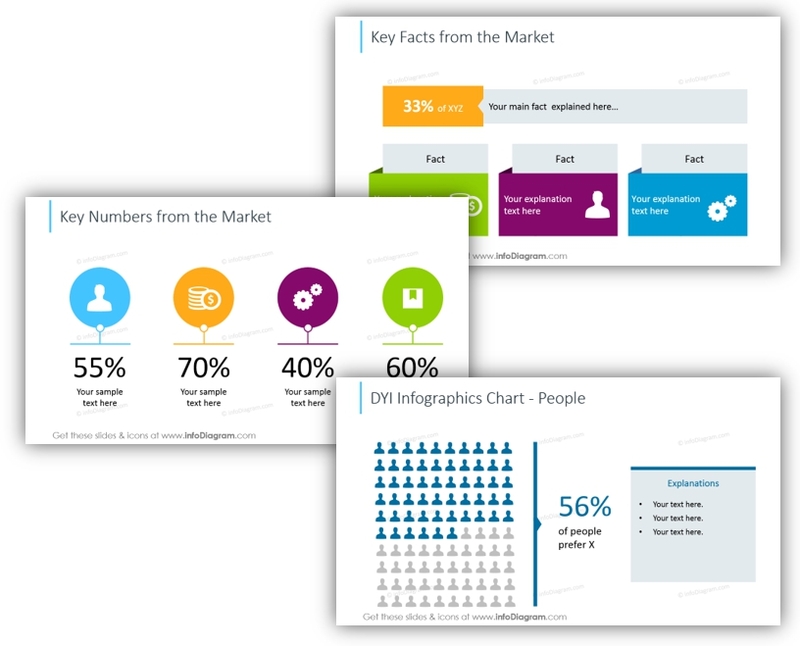 PowerPoint tools allow changing colors and sizes quickly. Simply click on the shape you want to change and fill it with the appropriate color. 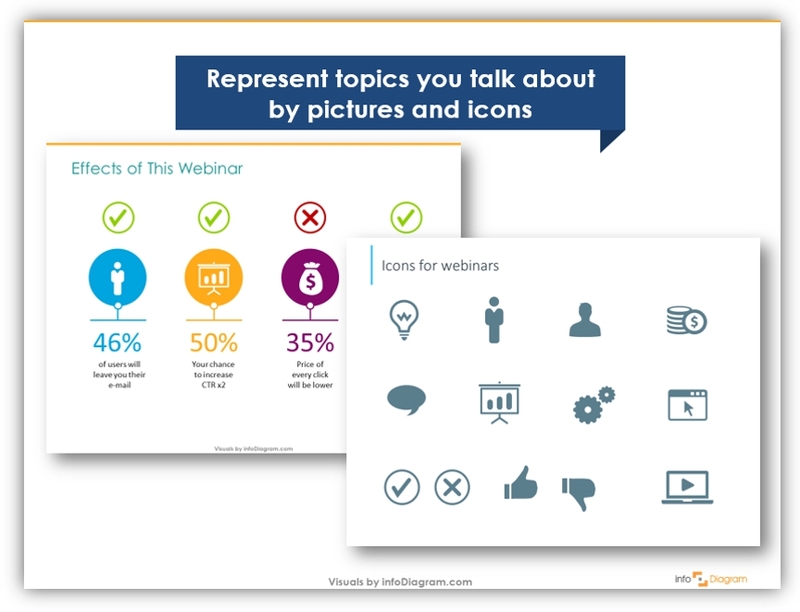 A webinar presentation utilizes a PowerPoint 99.9% of the time unless you are using a special platform. 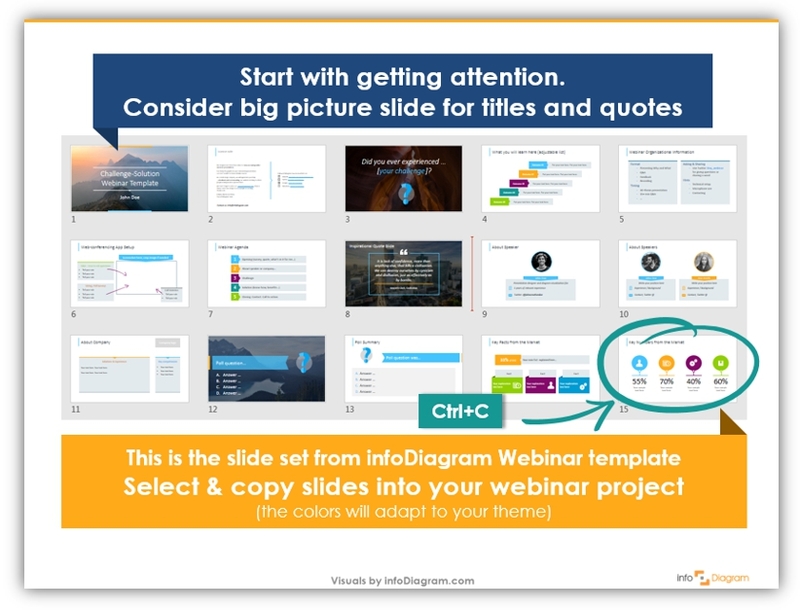 This PowerPoint presentation is the focus of the webinar and what your webinar attendees will be looking at throughout the length of the entire presentation. Read more about preparing webinar content here. If you want to get inspired by a few ideas on developing webinar slides and organizing web conference flow, see Facelifting Webinar Presentation blog.